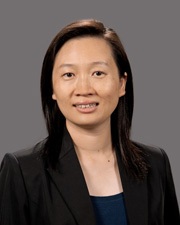 Grace graduated from Assumption University in Bangkok, Thailand, with a BBA in Finance and received her MBA in Finance from Case Western Reserve University, Ohio, in 2001. She has received over 400 hours of continuing education over the last five and a half years since joining Maze & Associates in 2005. Grace has been a certified public accountant since 2006 and is a member of the AICPA and California Society of CPA’s.